Waiting for the new Maruti Ertiga Crossover? DON'T! India’s largest carmaker Maruti Suzuki is gearing up to launch the next-generation of the Ertiga MPV in India. Earlier reports have suggested that the new Ertiga would be followed by a crossover variant a few months later. 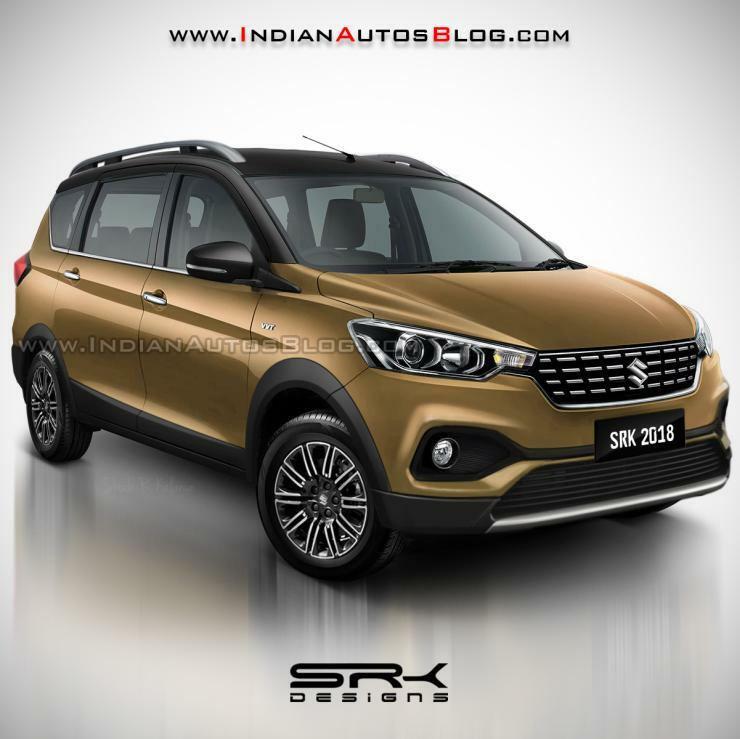 However, a new article by Indian Autos Blog (IAB) reports that the crossover version of the Ertiga doesn’t seem to be a part of Maruti-Suzuki’s plans for India. When asked by Indian Autos Blog about the business case for a crossover version of the Ertiga, C.V. Raman, Senior Director (Engineering), stated that the segment was very small and that products in the segment sell ‘very little already’. Mr Raman’s comments are based on some rather gruelling facts as attempts by rivals like the Honda BR-V started off quite well at launch and have now gone down to less than 700 units sold every month. The case is even worse for the Renault Lodgy, which despite having a crossover version called the Lodgy Stepway, has barely any takers in the market. The reason for the low sales is rather straightforward, Indian buyers prefer buying SUVs to crossovers that try to look rugged. The top-spec Ertiga along with the mid to high-spec variants of the BR-V and the Stepway all sell for a price which puts them directly in the firing line of the Creta SUV from Hyundai. In July 2018, Hyundai Creta sold 10,423 units with the Ertiga being the closest MPV/crossover with just 4,764 units sold. Honda sold just 631 BR-Vs while Renault was even worse with just 97 units of Lodgy finding new homes. However, sales of the Maruti Ertiga are expected to improve significantly with the arrival of the second-generation model during the Dusshera-Diwali festive season. The new Ertiga is based on Maruti Suzuki’s Heartech platform and will retain the current car’s 1.3-litre diesel engine (89bhp and 200Nm of torque) from Fiat. However, the new-gen Ertiga will feature a new petrol engine under its bonnet in the form of the K15B 1.5-litre petrol hybrid power unit found in the new Ciaz which produces 104bhp and 138Nm of torque. The new engine comes paired with both manual and automatic transmission options while the diesel will only come with a manual gearbox. Prices for the new Ertiga are expected to rise slightly from the current car’s price range of Rs 6.34 lakh to Rs 10.69 lakh (ex-showroom Delhi). The new MPV will be compliant with new BNVSAP safety rules that make dual airbags and ABS mandatory for all new cars and will also bring a host of new features including the new petrol engine.